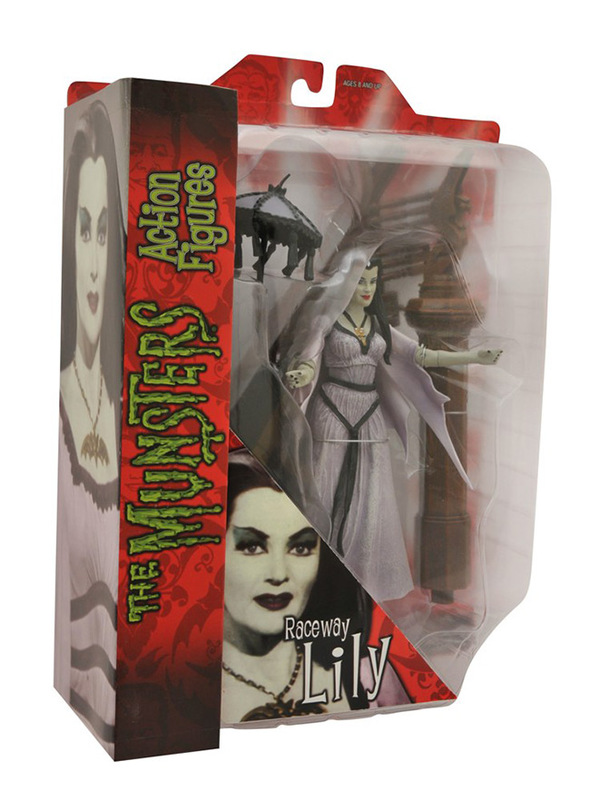 On Sale This Week from DST: Munsters, Universal Monsters and Wolverine Unmasked! 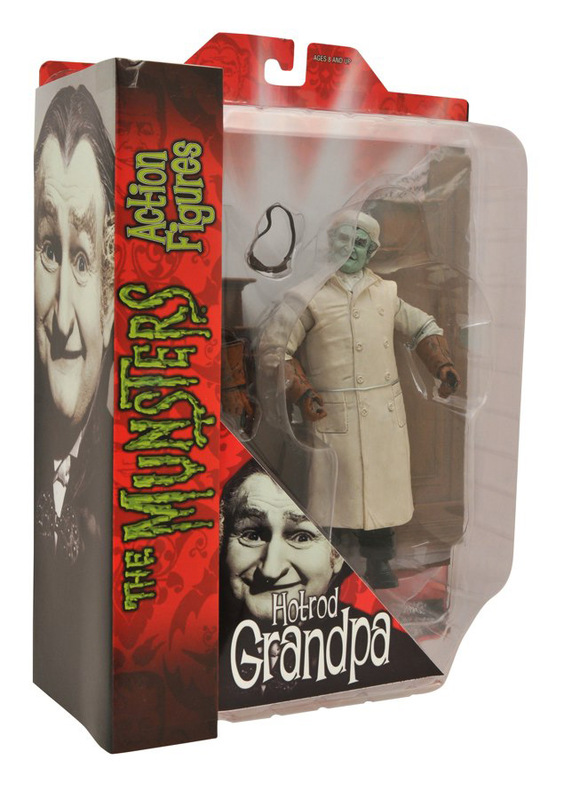 September 2013 - Halloween has come a little early, and Diamond Select Toys is sending some of their spookiest Select figures ever to comic shops and specialty stores this week! 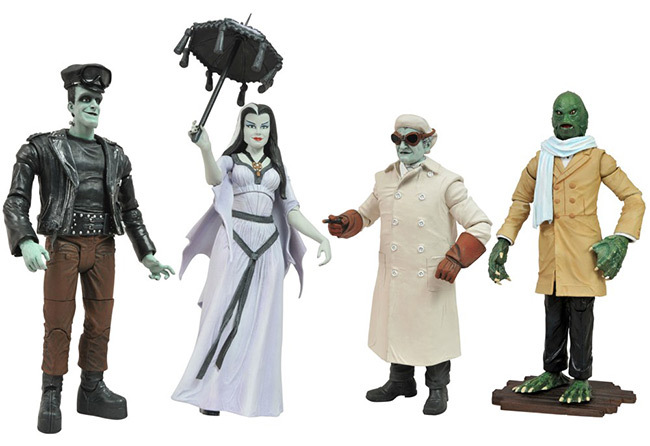 The Munsters Select line gets four brand-new family figures, and Universal Monsters Select brings to life Dr. Jekyll, Mr. Hyde and the Hunchback of Notre Dame! 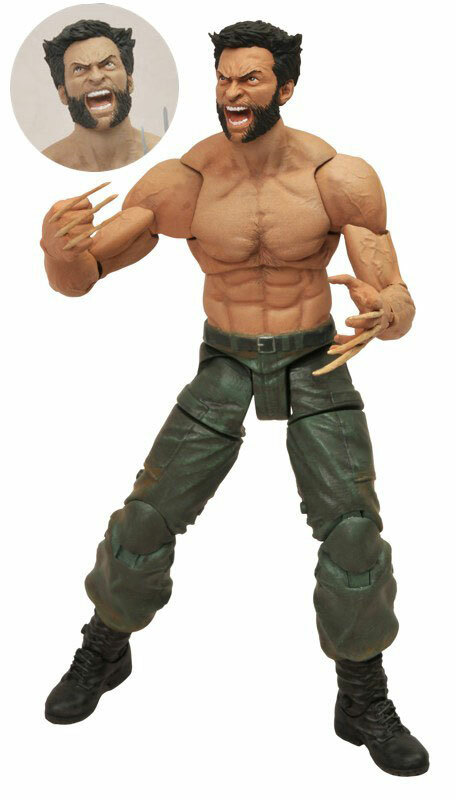 Plus, Wolverine pulls a reverse Halloween and takes off his mask as a back-from-the-grave Select figure! It all makes for a Select-ively spectacular New Toy Day! 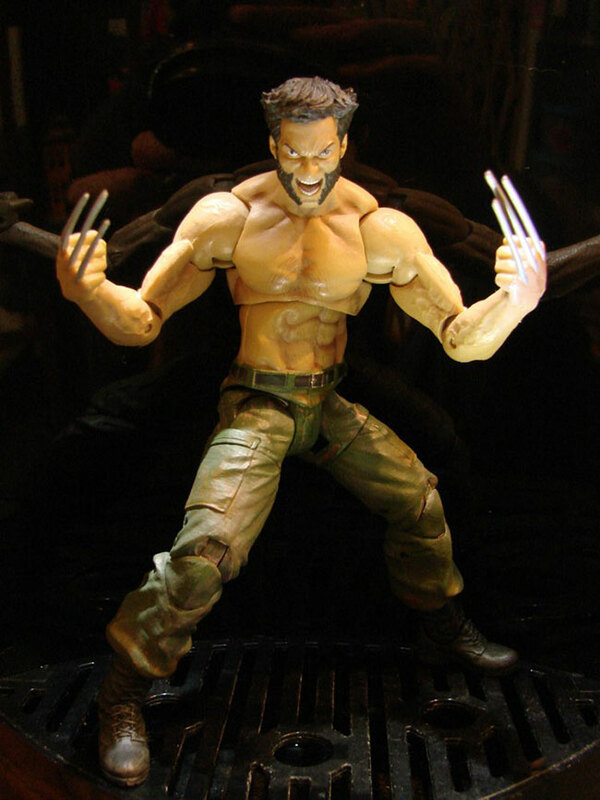 New Photos of Marvel Select's The Wolverine Action Figure Revealed! July 2013 - This weekend, The Wolverine slashes its way into movie theaters, telling the next chapter in the life of the nigh-immortal mutant named Logan. 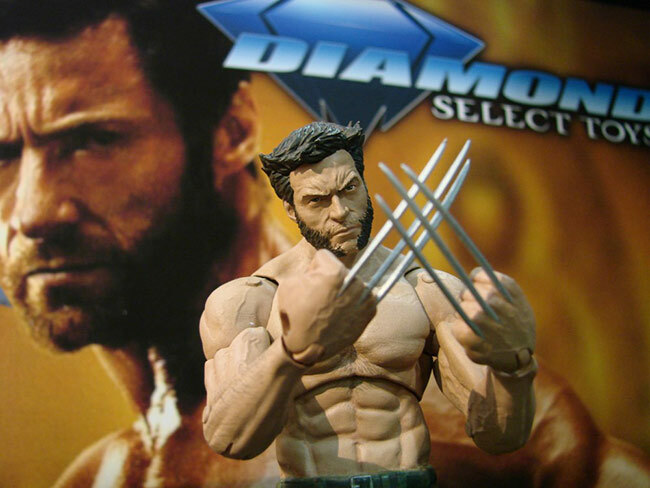 While the Marvel Select action figure based on the film won't be out until September, it recently made an appearance at Comic-Con International, and Diamond Select has taken some shots of the figure in action! 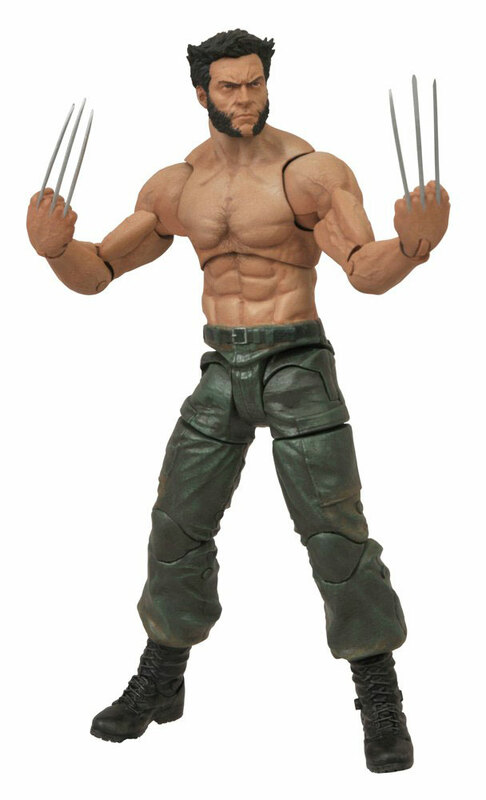 With 16 points of articulation, three interchangeable heads and six interchangeable hands, this 7-inch figure will be the ultimate collectible for any Wolverine fan. 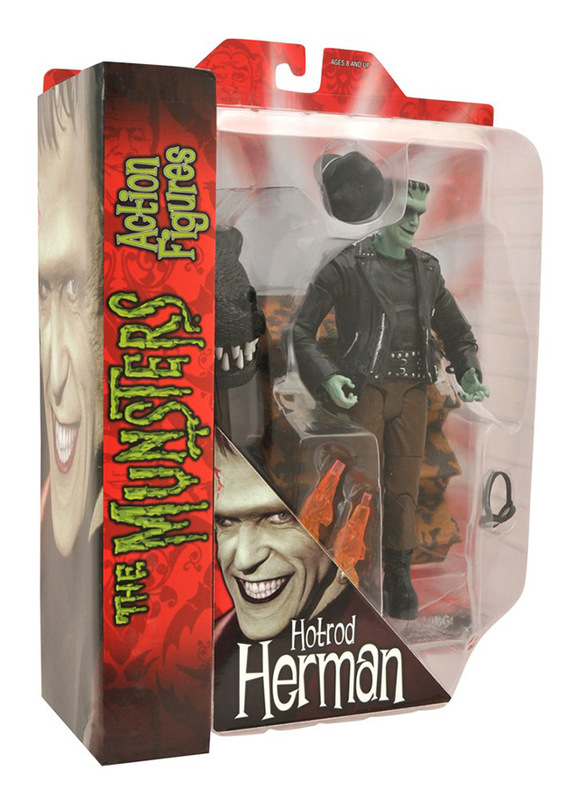 Check out the shots, and pre-order him today at your local comic shop or favorite online toy store! Marvel Minimates Wolverine Saga Box Set to be Unleashed at SDCC! 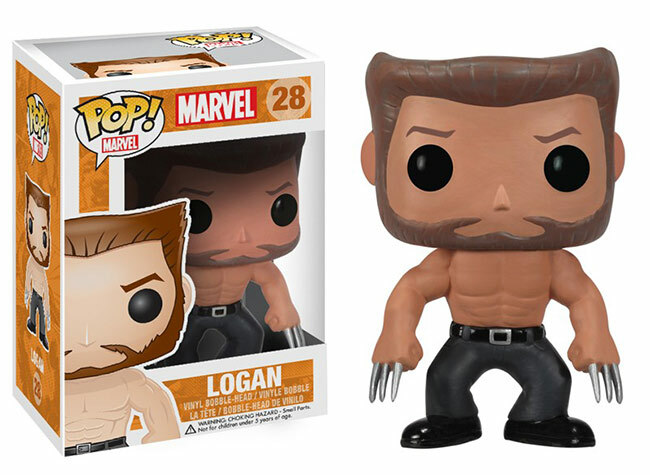 June 2013 - Ever since it made its debut at New York Comic-Con, fans of Wolverine, Minimates and Wolverine Minimates have been clamoring for Diamond Select's Logan-tastic Marvel Minimates box set. With four different Wolverines in it, how could you go wrong? Well, DST recently announced that it will be this year's Marvel exclusive at Comic-Con International in San Diego, just in time for the new The Wolverine movie! 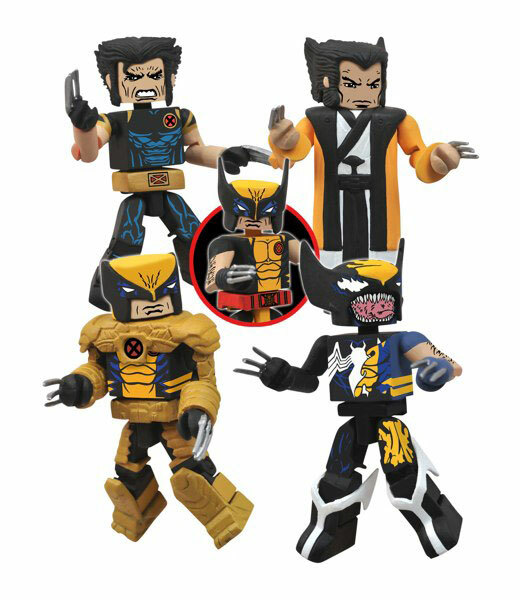 Now titled "Wolverine Saga," the box set includes four different Minimates spotlighting different moments in Wolverine's life. Symbiote Wolverine depicts the New Avenger when he was possessed by a Venom clone, Spacesuit Wolverine shows him in his frequently utilized space armor, Ultimate Wolverine is his well-known Ultimate Universe counterpart and Logan-san in Japanese Robes shows him circa his engagement to Mariko Yashida. (BALTIMORE, MD) - (May 2, 2013) - Hugh Jackman, the star of the upcoming blockbuster film, The Wolverine, recorded a video to promote the 12th annual Free Comic Book Day, set for Saturday, May 4th, 2013. Free Comic Book Day is an International event where the entire comic book industry works together to raise awareness of comics and local comic book shops. Almost 2,000 comic shops all over the world will give away over 4.6 million comics published specifically for Free Comic Book Day to new and returning customers just for coming to their shops. 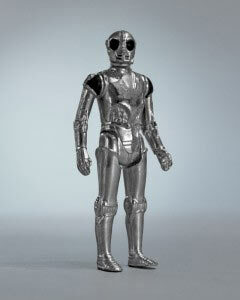 April 2013 - Funko has announced a new POP! 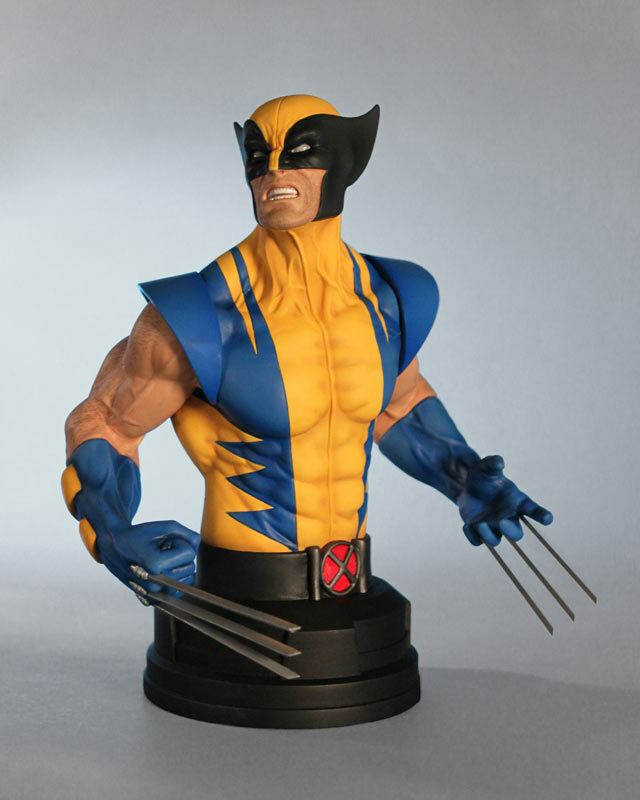 vinyl figure based on Wolverine. 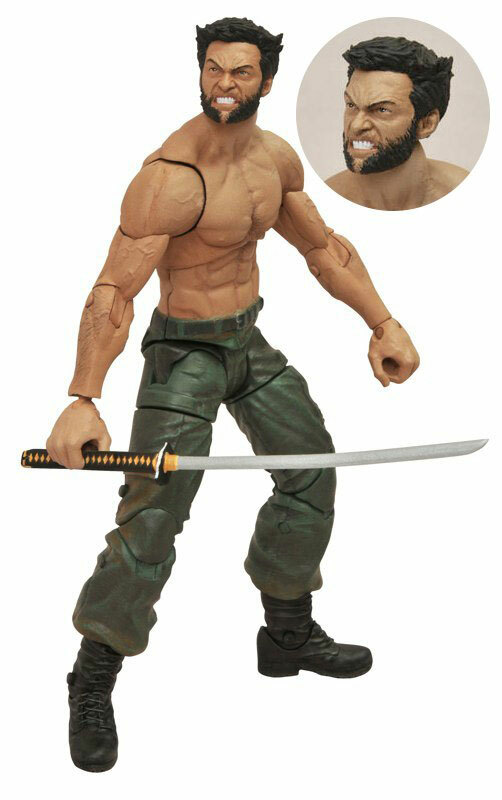 Expect to see shirtless Logan in stores around May 9th. March 2013 - The Avengers. X-Men Origins: Wolverine. The Amazing Spider-Man. The Marvel cinematic universe is constant source of great characters and costumes for the Minimates mini-figure and Marvel Select action figure lines from Diamond Select Toys. This year three films based in the Marvel Universe will make it into Select form, and while all three films are highly anticipated, one has been shrouded in secrecy, leaving fans to only guess at what toys the film might bring. But now DST has unveiled their newest Select figure, for 20th Century Fox's The Wolverine, and announced an assortment of Minimates, as well! Gentle Giant is proud to bring you two new items for March 2012! 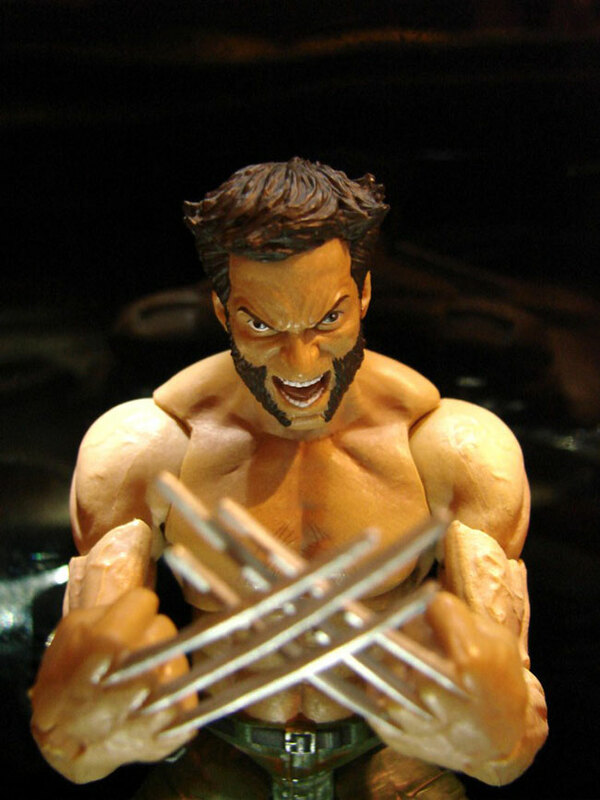 The unique sound of Wolverine's Adamantium claws unsheathing sends chills through villains everywhere. One of the most popular characters of the Marvel Universe for almost forty years now, Wolverine has come a long way since his first appearance in Incredible Hulk #180 back in 1974. Now a leader of his own team of X-Men, the former loner has taken responsibility for the future of mutantkind by following in Professor Charles Xavier's example and opening the Jean Grey School for Higher Learning. But don't think he's gotten soft in his old age. Just remember bub, "I'm the best at what I do, and what I do isn't very nice."